Does Your Load Balancer Spark Joy? Point-and-Click Simplicity or Enterprise-Grade Application Security? Why Not Both! 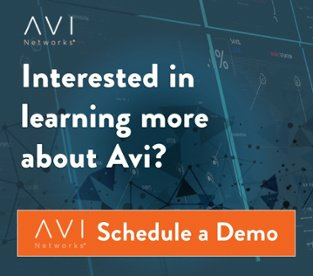 Taking Avi Networks Out for a Free Spin on Microsoft Azure! Cloud Native Application Architecture | How is Cloud Different? Kubernetes Deployment | Is Your Infrastructure Ready? Avi Networks is proud to join VMworld 2016! The Hardware Load Balancer Bubble | When Will It Burst? Out of Sight, Out of Mind? With Security, That’s Out of Your Mind. Our OpenStack Summit Giveaways Stomped Their Takeaways! OpenStack Summit – Bonjour Paris!